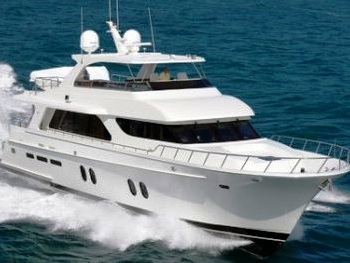 Motor yacht AQUARIUS is a 24,38m (80’) charter yacht built by Cheoy Lee in 2008. 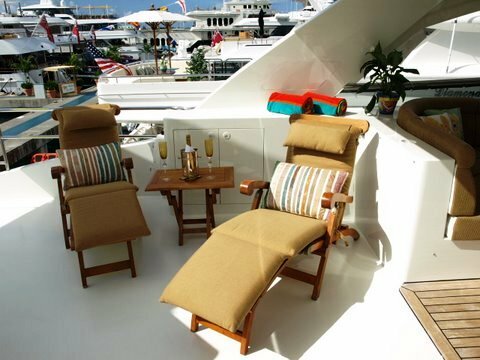 M/Y Aquarius feature interior design by Sylvia Bolton and is based in the Caribbean during the winter and in New England during the summer months. 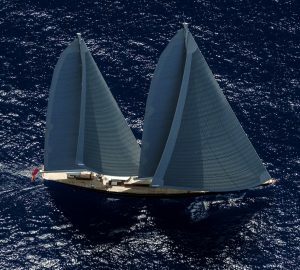 Charter yacht Aquarius has been finished to the highest level of luxury. Her well appointed main salon is spacious and comfortable featuring 2 opposing leather couches and offers space for formal dining area forward as well as a sit down bar. 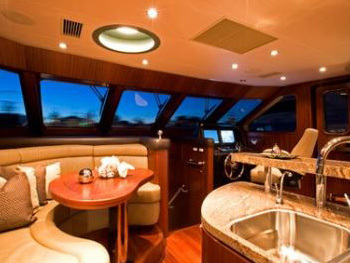 Further forward on the main deck is the galley area and helm station where there is a dinette where you can watch or chat with the captain or chef. 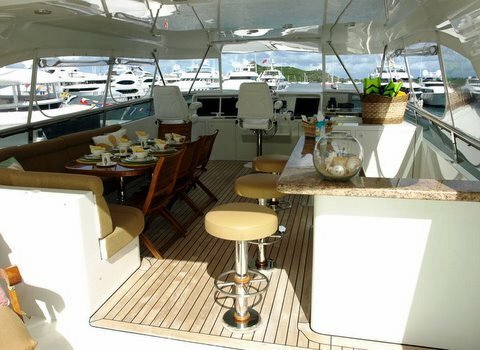 Al fresco dining is possible on the aft deck or on the fly bridge, both of which have beautiful teak tables. 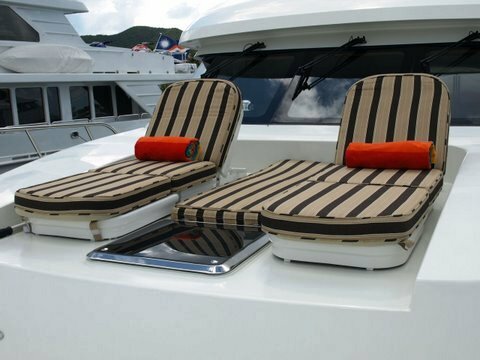 The fly bridge also boasts and plenty of lounging areas for sunning or just relaxing. 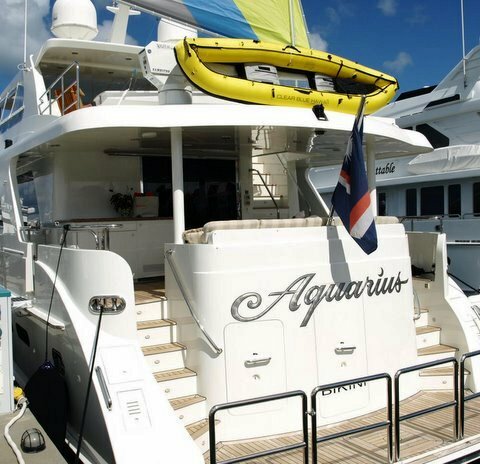 Yacht Aquarius comfortably accommodates three couples with spacious staterooms and bathrooms with all the amenities of much larger yacht. 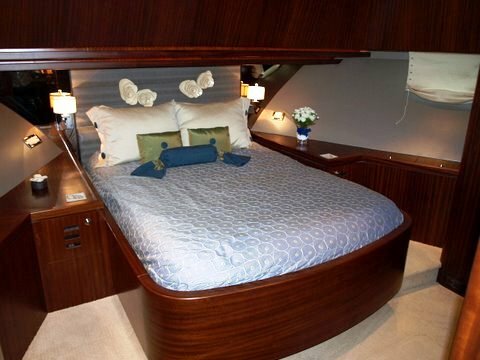 The master stateroom features a king size bed while the two equal VIP staterooms feature queen size beds. 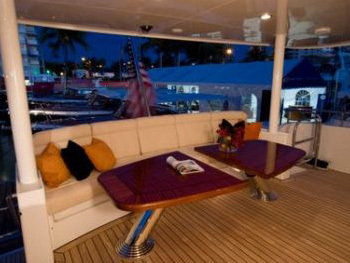 All staterooms have the newest flat screen TV’s and full, independent entertainment centers. 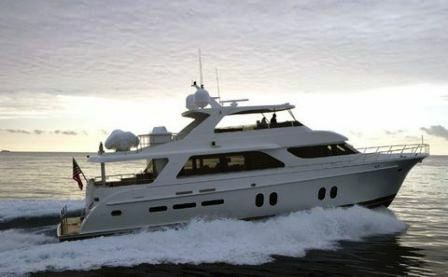 Choey Lee motor yacht Aquarius is able to cruise at a comfortable yet economical cruise speed of 18 knots with a top speed of 23knots. 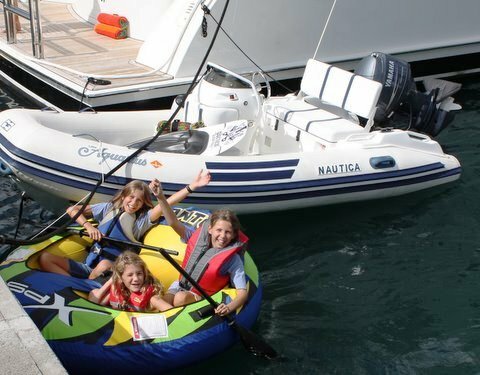 The yacht Aquarius is well equipped with a selection of water sport toys that can be enjoyed from the aft swimming platform. 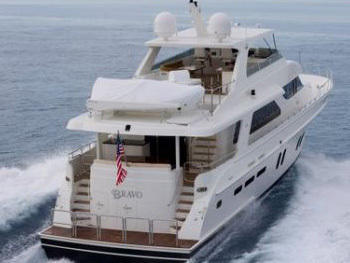 Motor yacht AQUARIUS is able to sleep up to 6 guests in 3 double cabins. 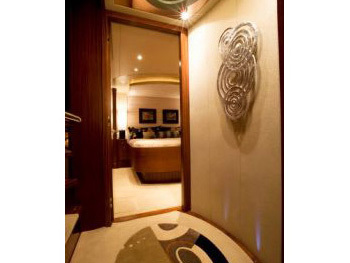 Her master stateroom is located below deck mid ship and features a king size walk around bed, his and hers bathrooms with large shower and well appointed luxurious decor. There are large cedar lined closets and flat screen TV and entertainment center. 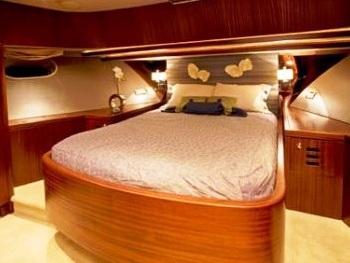 The VIP guest cabin is also located below deck forward of the master stateroom and is a spacious stateroom featuring a queen size bed and large bathroom with shower. 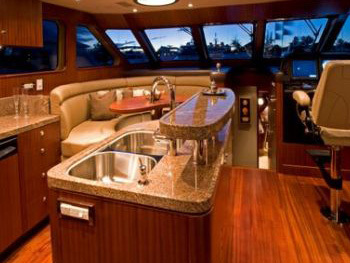 It has three large cedar lined closets, a flat screen TV and full entertainment center. The second VIP cabin is located forward and features a queen size bed, cedar lined closets, flat screen TV and full entertainment center. 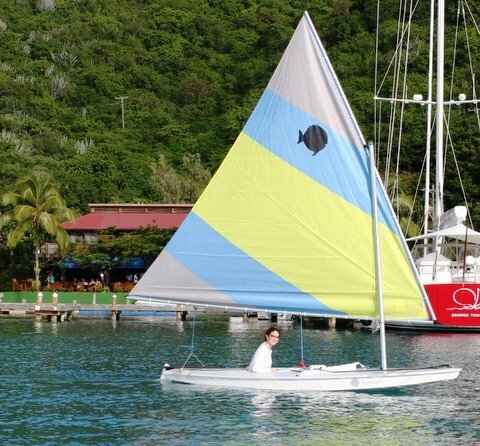 Cheoy Lee yacht Aquarius has a great selection of water sport toys for enjoyingwhile onboard including a 14' Novurania with a 60hp Yamaha, a Sunfish sail boat, a Glass bottom kayak, Snorkel gear, Fishing gear, Towable tubes, Wakeboard and Assorted beach toys and games. 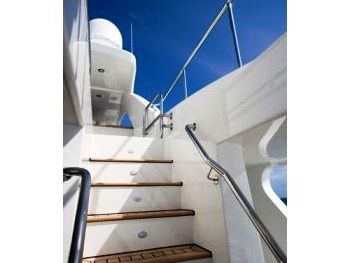 Communications onboard include a Cellular, Sat Com and wifi booster while in port for internet access. 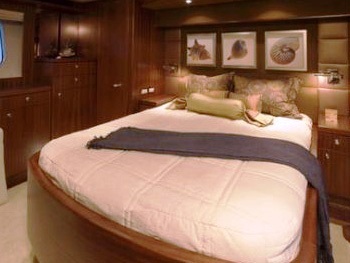 Audio Visual Equipment and Deck Facilities include Direct TV in the main salon and in each guest stateroom. Full entertainment center including TV, DVD and stereo.